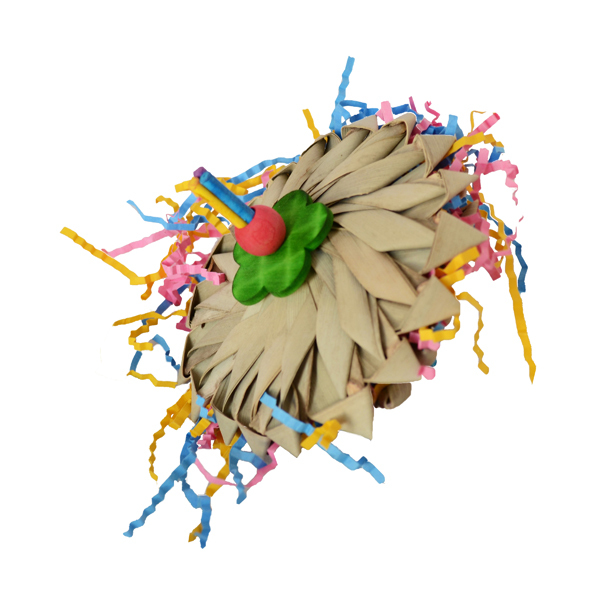 A trusting pet is a friendly pet, and giving your rabbit, rat, chinchilla or similar pet our Palm Flower Toss Toy will help establish a trusting bond. 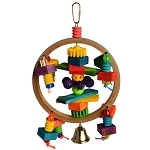 Composed of the 100% pet-safe materials of palm leaf flowers, paper lollipop sticks, wooden beads, and brightly colored paper crinkle, this toy supplies your pet with a variety of shapes, shades, and textures to chew and manipulate. 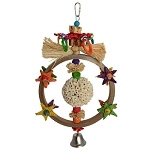 Another benefit of the Palm Flower Toss is scent-marking. 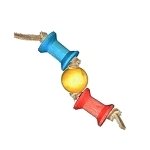 The porous materials retain the scents your pet uses to mark an item as part of its habitat. 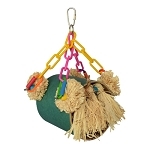 Providing your pet what it needs to engage in natural behaviors will help keep it happy and healthy, and Our Palm Flower Toss Toy will have your rabbit, chinchilla, rat, guinea pig or similar pet in the palm of your hand!